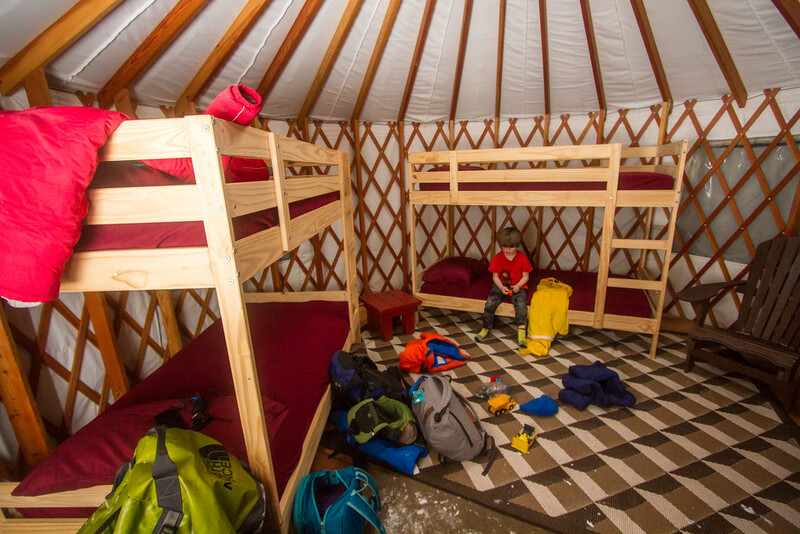 Thanks to the excellent Tanya at Canadian Rockies Family Adventures I won a stay in the Mount Engadine yurt! I might have a thing for yurts. I’ve spent more time than strictly necessary browsing yurt websites and looking at photos on pinterest. I’ve only stayed in one once before though, in Bend, Oregon. 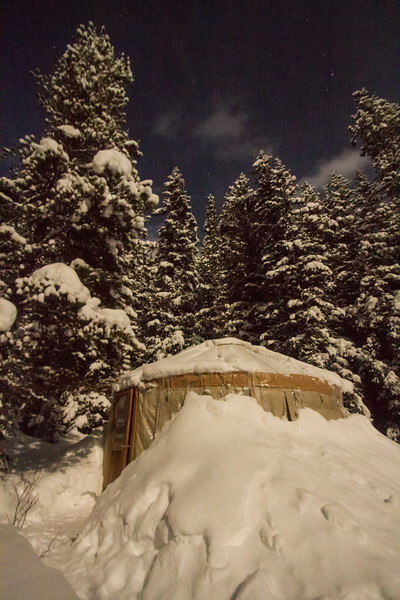 Winter yurting was a bit of a different experience – this yurt is tucked away 100 metres or so past the rest of the Mount Engadine lodge accommodation. A little packed snowy trail winds through the trees and deposits you at the little yurt. The outside was all piles of snow and exciting icicles. But inside was cozy, snug and warm (although not so warm we weren’t wearing our down booties). There’s a little propane heater that runs to keep it nice and warm inside. With just two bunk beds and some chairs, this was smaller than the other yurt I’d stayed in – a bit small for comfortable full-time yurt-life, but great for a weekend. 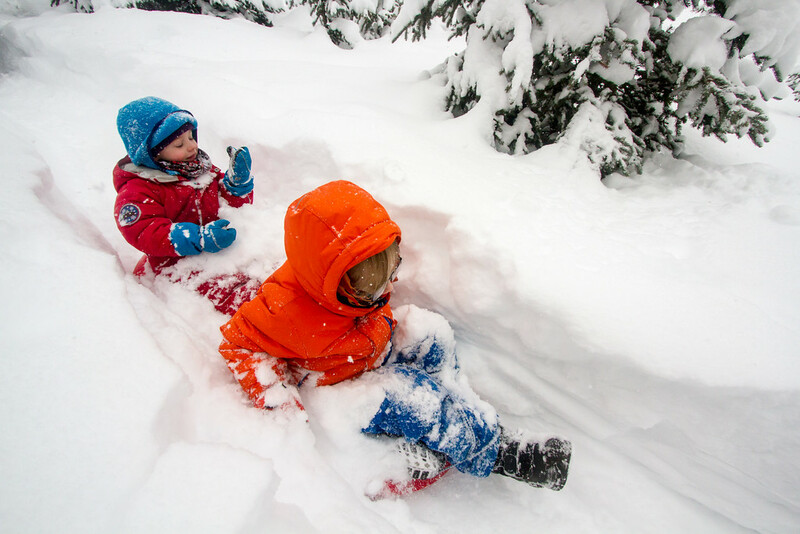 The boys loved playing on the bunks, and in the yurt, but then it was time to get outside – and attempt to get a toboggan run happening in the ridiculously deep fresh snow. 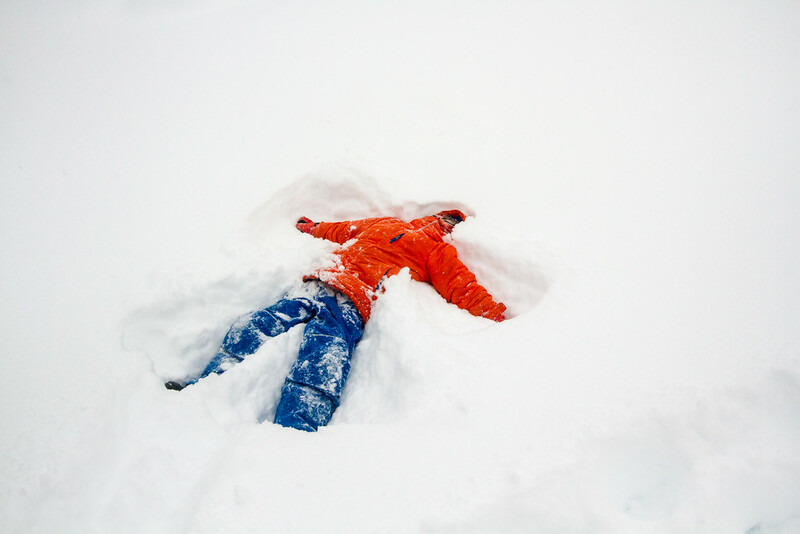 In the end we gave up on tobogganing and just cavorted in the snow. And then it was off to the lodge for afternoon tea! We decided to take the low way along the meadows to get there. Which seemed like a great idea until Kat and I started post-holing up to our thighs. I ended up crawling/swimming up to the lodge. 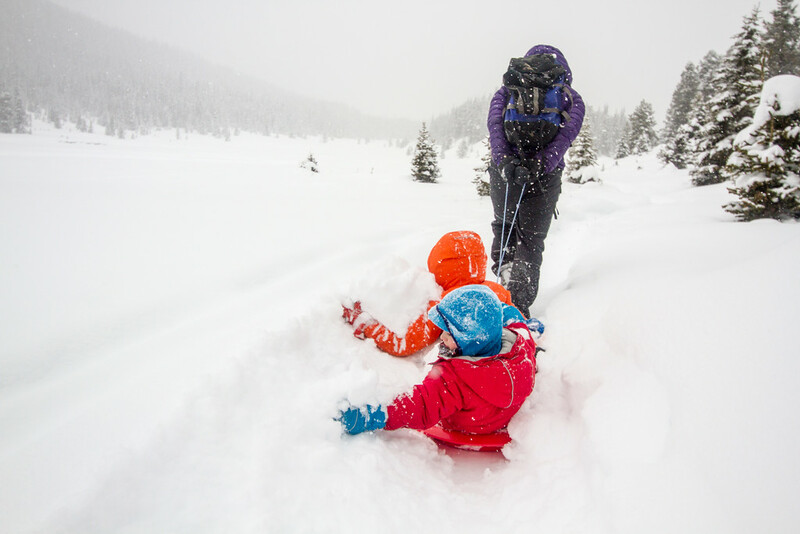 Swimming through snow is a great workout. 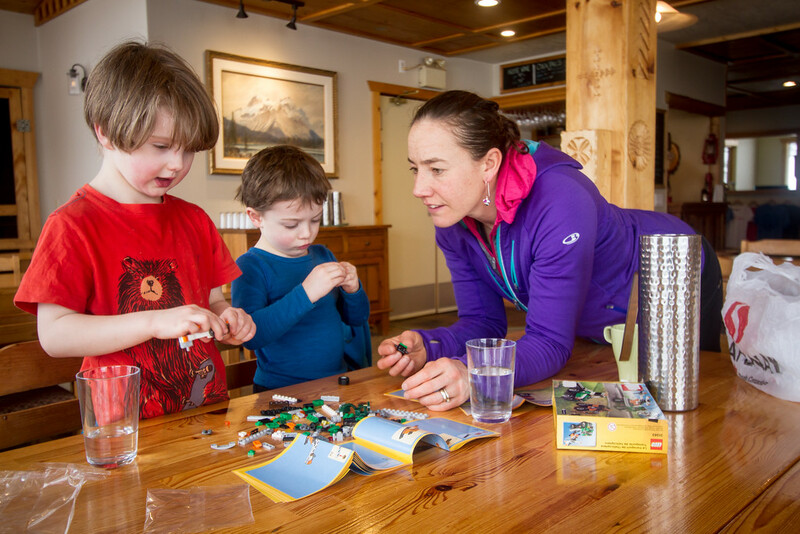 In the lodge we set the boys down with some lego, and enjoyed the delicious charcuterie. 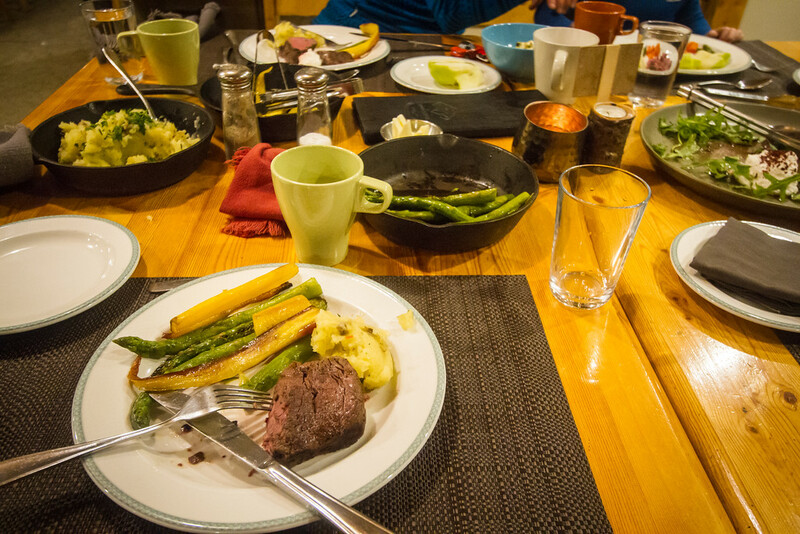 This is where I admit this trip was as much about the food as anything. Which is where I also break down and admit I turned into one of those people who take photos of food. When it came to dinner, I was so distracted with eating it that I got half way through before thinking to take a photo. My mouth is watering again just looking at this photo. Suffice to say it was delicious. A late dinner, we sat around and chatted, the boys played with cars and watched some videos. I reveled in the little station with tea. Then we wandered slowly back out to the yurt. The snow had stopped falling and it was a beautiful clear starry moonlit night. The yurt was warm from the heater, and we had a cozy night’s sleep. 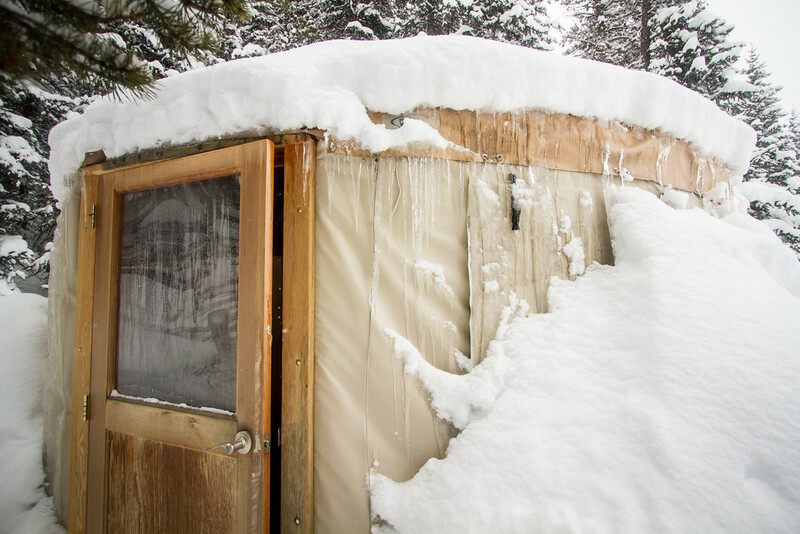 The only tricky thing about the warm yurt was the ice that ended up building up in the door frame sometimes, making the door tricky to close well. Waking in the middle of the night at one point, I wandered out to take a hand-held night shot. Thanks to the bright moonlight, this was actually possible. Downside? When I went to quietly sneak back into the yurt, I just couldn’t get the door to close well. Worried about making a noise, I just stealthily tied the door knob to the wall, so at least it would stay roughly closed. 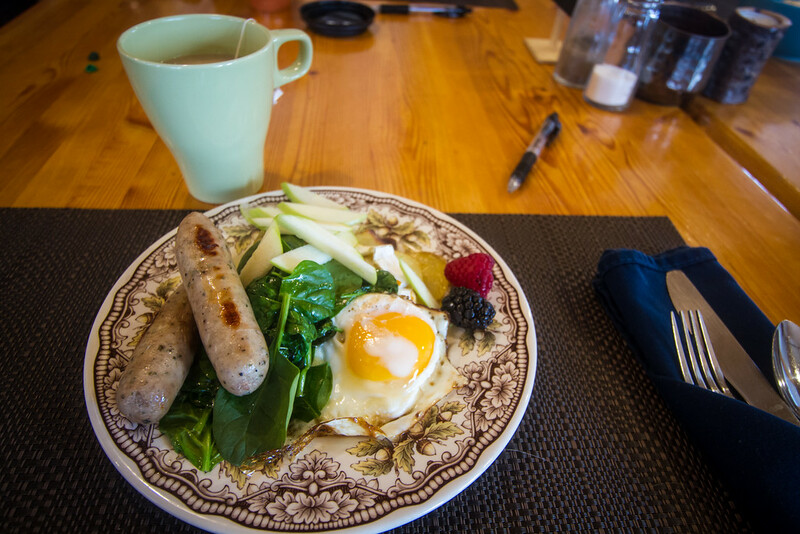 The next morning I took more photos of food, and we put in our orders for our packed lunches. As we ate breakfast, the packed lunches appeared on a counter, with our names written on the bags (aww, adorable). 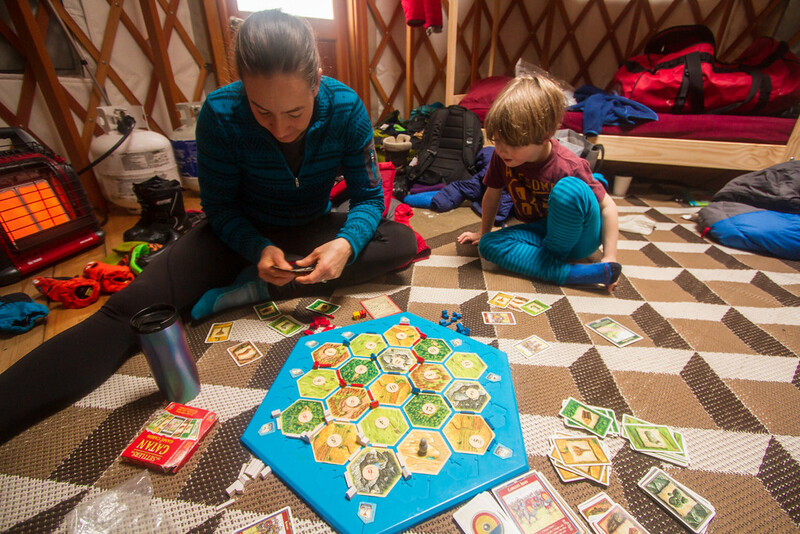 Back at the yurt, Zion napped while we finished our game of Catan. Kat had never played before! Finn was astonished. Then it was off to ski at Mount Shark, in the gloriously warm inversion. In fresh snow. All in all it wasn’t a very successful ski (we managed 2.4km in two hours), but no children were strangled, and the sun was out and it was wonderfully warm. 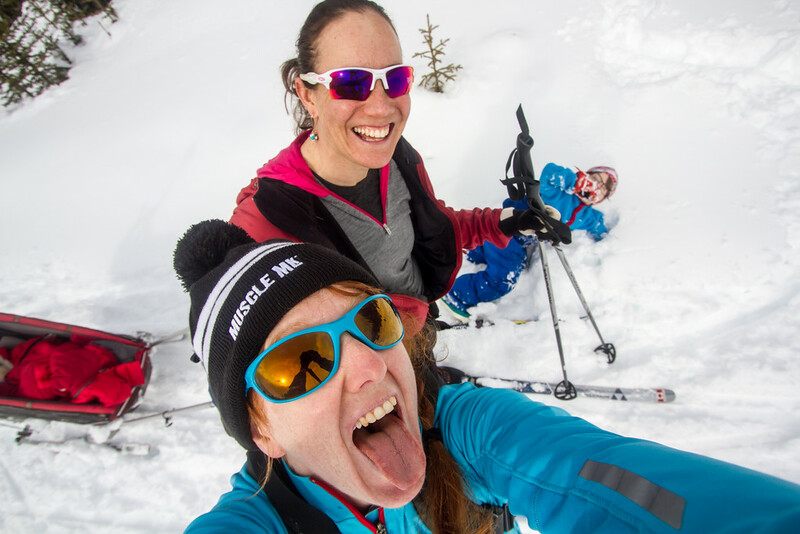 Sadly, we discovered that it was about 15oC colder in Canmore. Always sad news. 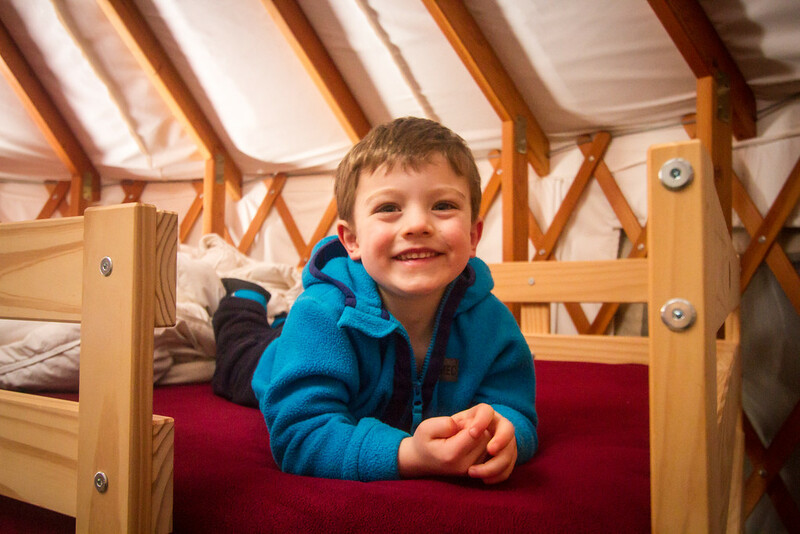 But the Engadine yurt is awesome!